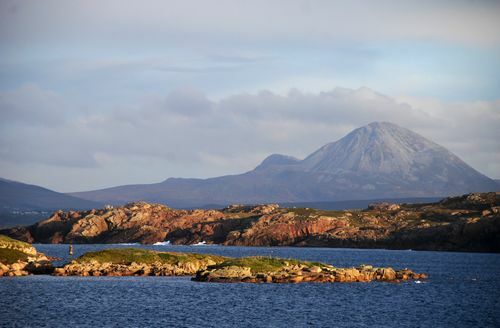 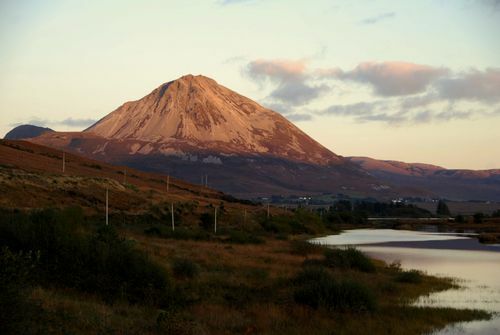 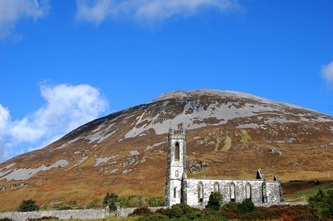 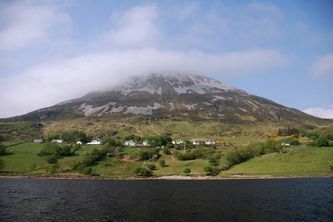 At 749 meters/2457' Errigal is the highest mountain in County Donegal and is probably one of our most distinctive and photographed landmarks. 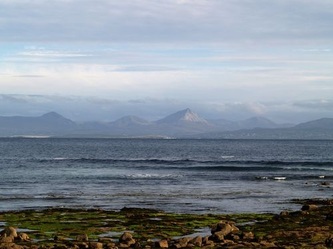 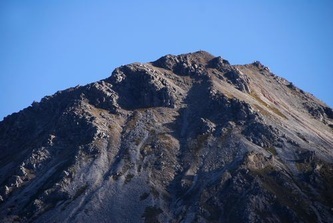 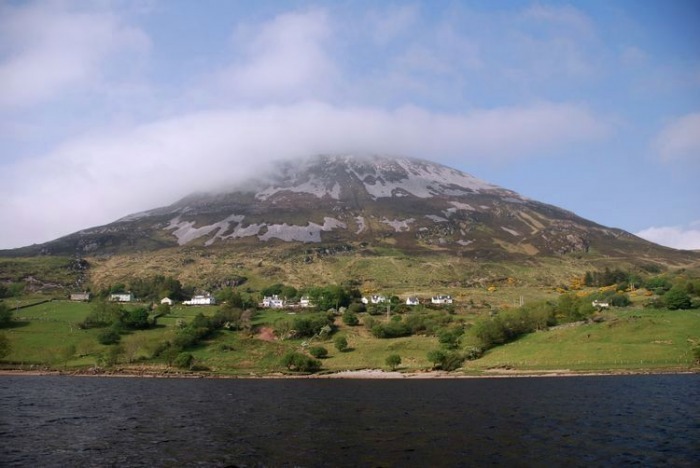 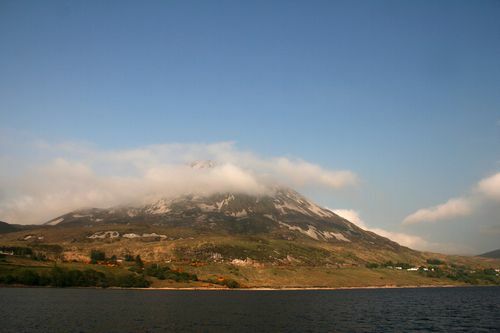 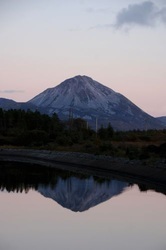 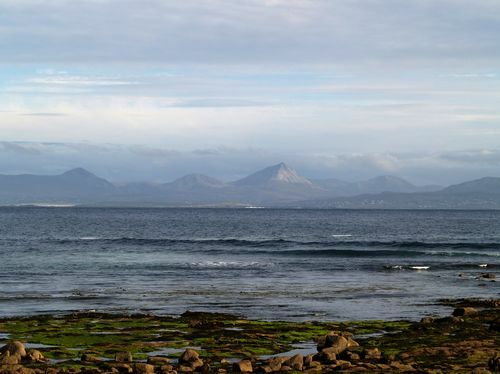 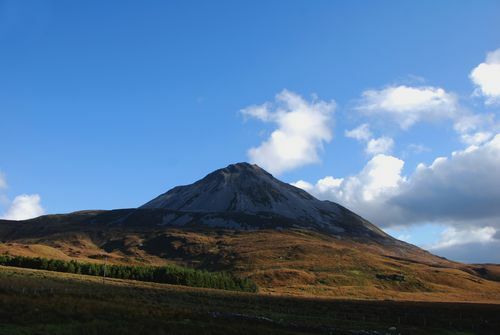 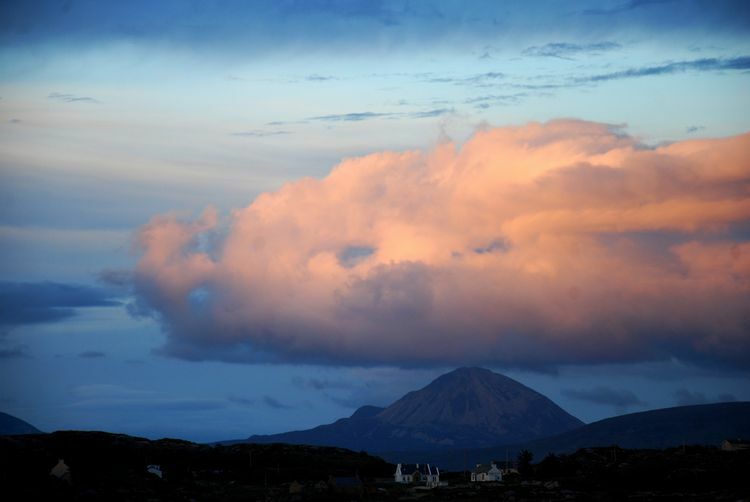 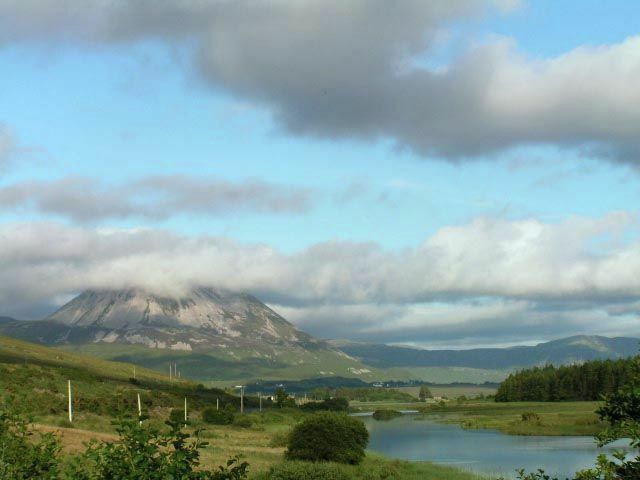 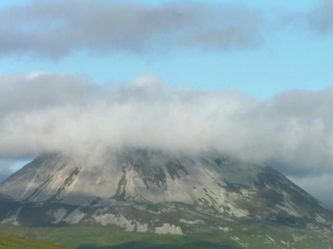 To give some idea of the size of Errigal the photograph (zoomed in) to the left here shows a man standing on top of Errigal with an arrow pointing at him. Click on the photograph to enlarge.